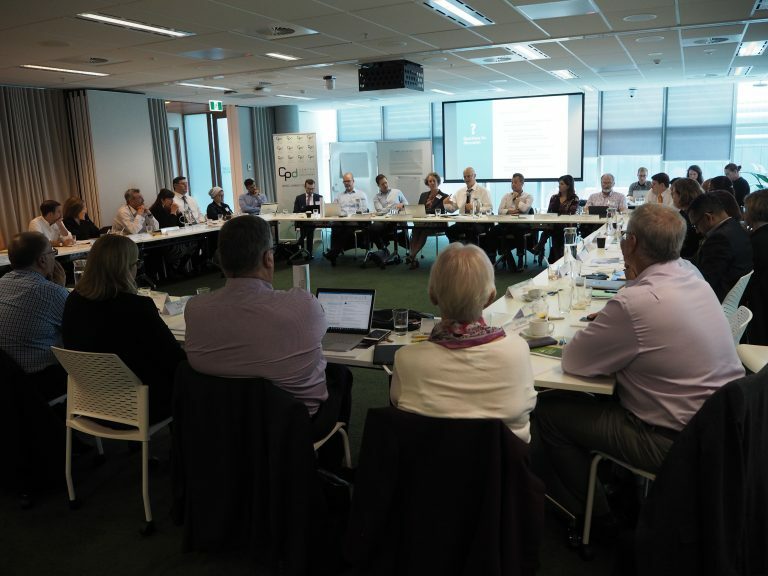 CPD Chairperson Terry Moran AC delivered the Jim Carlton Integrity Lecture 2019 on ‘The next long wave of reform — where will the ideas come from?’ at the Accountability Roundtable in Melbourne on 25 March. 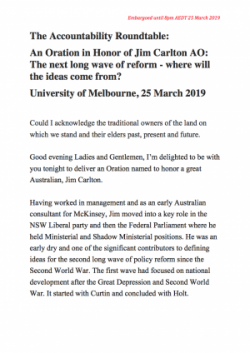 In his address, Terry laid out how he views the next wave of reform and the key steps he thinks must be taken as part of David Thodey’s review of the Australian Public Service. The speech was timely given David Thodey’s speech in Canberra last week. 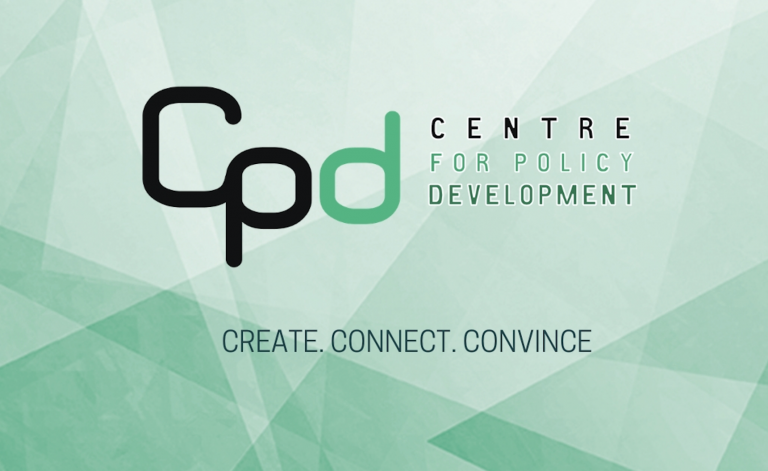 Terry drew on CPD’s attitudes research over the past two years about the public’s view of Australia’s democracy. 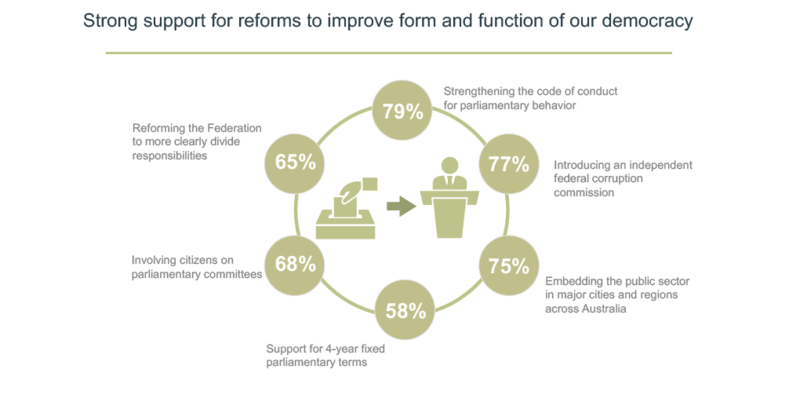 The results suggest that, to a varying extent, institutions, big ideas and delivery are now weak reflections of the axis of our democratic system – the views and expectations Australians have of their democracy. Results from CPD’s 2017 attitudes research. 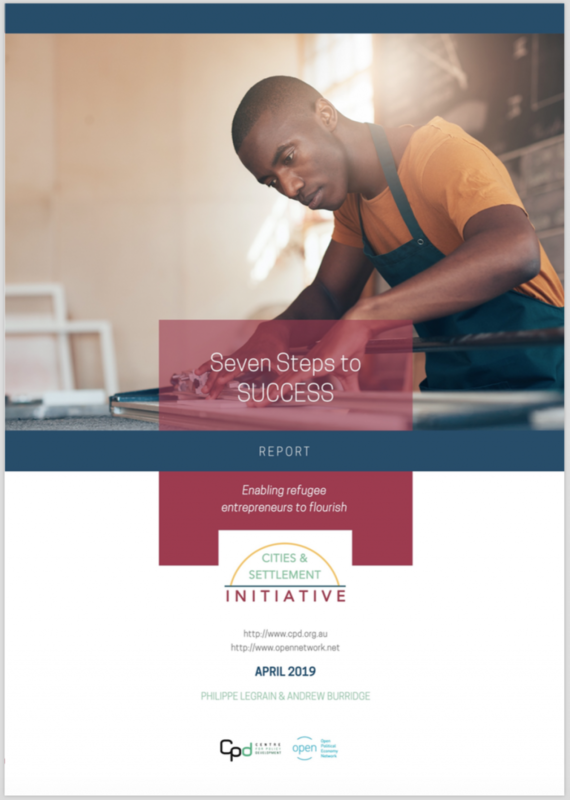 The starting point for Australian missions, Terry argued, is to reinvest in the creative elements of our public services, enriched by direct experience of the services that Australians expect government to provide. He expressed his hope that local approaches are backed and our obsession with the contracted state ends because of David Thodey’s review of the Australian Public Service. For an overhaul of laws governing political donations and the early release of information about donations. He concluded his speech stating all of us have a responsibility to advocate for a debate about the next wave of big ideas — the missions we can all support. 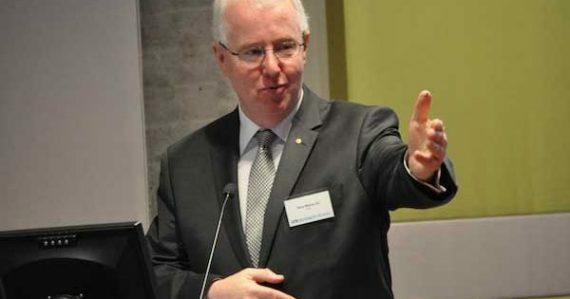 Terry Moran AC has had an extraordinary career in public administration and is Chancellor of Federation University, Chair of the Centre for Policy Development, Chair of the Barangaroo Delivery Authority and Chair of the Melbourne Theatre Company. He served as Director-General of Education in Queensland 1998-2000, Secretary of the Department of Premier and Cabinet in Victoria 2000-08 and Secretary of the Commonwealth Department of Prime Minister and Cabinet 2008-11.